Tate has been raising her siblings since her teen years and although Matt is exactly the man of her dreams she knows he’s never going to look at her twice. She’s not skinny and rich like the women he uses to have on his arm. This is a really fast love, which is not really my thing. His interest for her is way too sudden which made me reticent about the story right from the beginning. Matt: I’ll describe him real fast since I have so much to say about Tate. He’s a firefighter, good-looking and sweet. The story just keeps repeating itself over and over again. She’s never wrong so she’s always the one getting mad at something. So the deal is: she gets mad and he professes his love for her so she can forgive him for whatever reason made her mad in the first place. Which is tiring trust me! On the bright side, family is the key word of this book! We have two big and strong families who come together to strengthen their love. Sometimes they fight and sometimes they fight together. The truth is, in my point of view, they’re the center of the book instead of the love story and if you’re more focused on them instead of the couple, you’ll probably going to enjoy the book a lot more. If you’re a fan of love at first sight then, by all means, enjoy the book! But this really didn’t hit home for me. 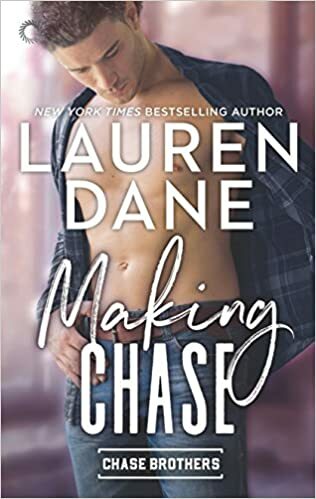 I really enjoyed the previous book of the series Taking Chase, so it’s safe to say that you can still enjoy the rest of the series with no worries.